Guatape is the number one day trip from Medellin with good reason! This is a day trip that has amazing views, stunningly cute streets and homes, great coffee and lake trips – all in one! 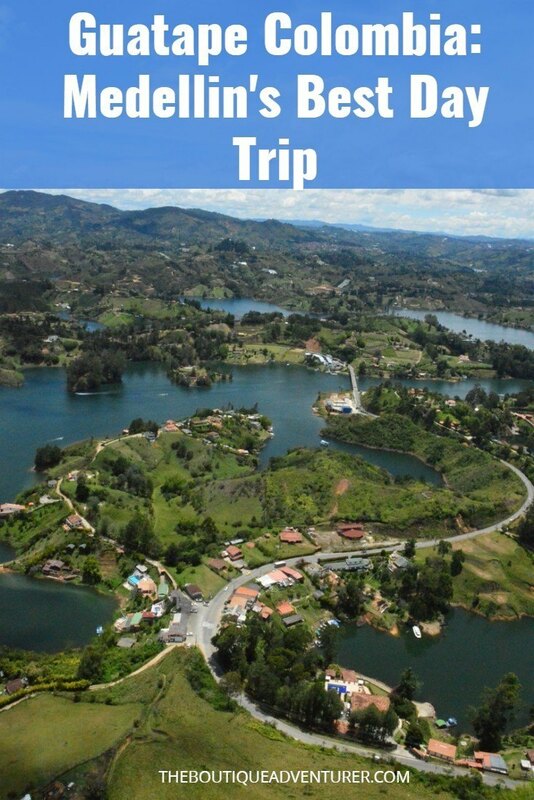 Here is everything you need to know to have a great Guatape Medellin Day Trip including the best things to to do in Guatape! 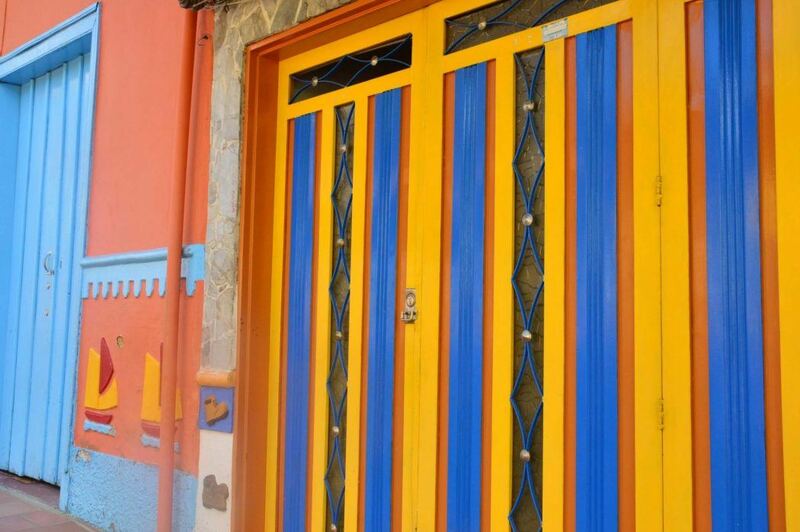 Read my complete guide to What to do in Medellin Here. The nearest airport to Guatape is Medellin. 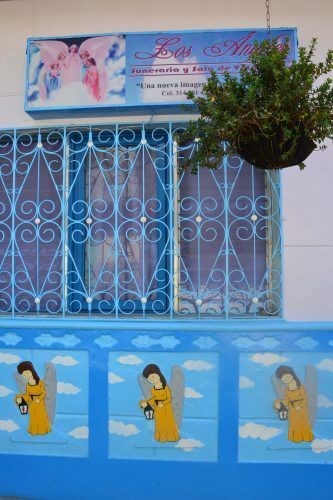 Bogota is only a 30-minute flight from Medellin – Read my Things to do in Bogota Colombia in 24 hours post here. There are quite a few tour companies who offer a guided day trip to Guatape. These can be a great option if you are not in the mood to figure out how to do things and like making a bigger day. There are essentially three different options for organised tours. 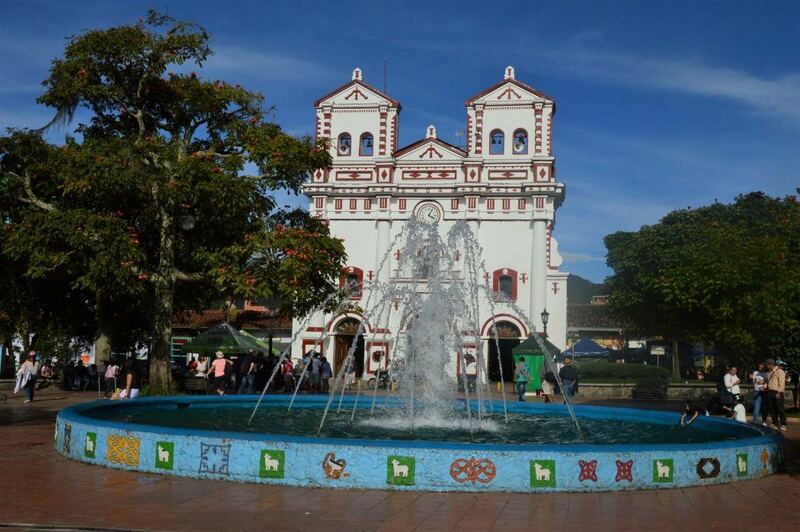 The first is to go with a group tour and visit Piedra del Penon and the town of the Guatape. The second option is to have a private tour that will cover the same ground but give you more options. 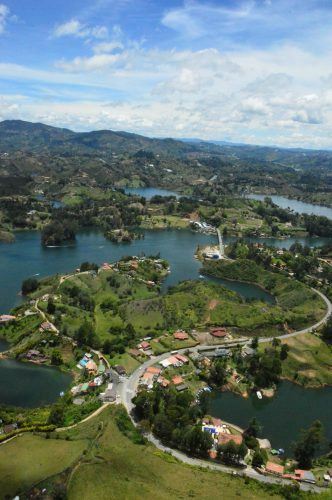 The third option is to go with a group, visit Piedra del Penon and town of Guatape and add in a boat tour. 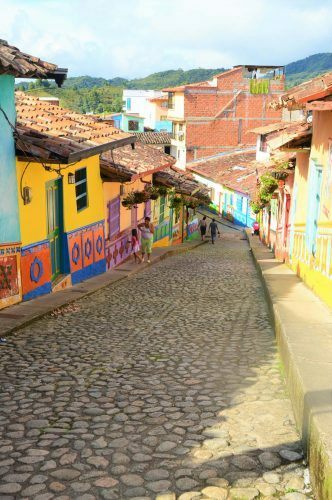 Upon investigation, it is quite easy to get yourself to and from Guatape and have a more flexible day and most importantly not such an early start! Buses leave from the North Bus Station (which is quite a distance from El Poblado) in Medellin. 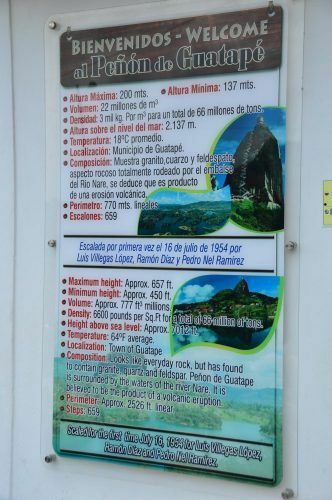 Go to counter 9 or 14 – several bus companies sell tickets to Guatape or La Piedra. The buses vary quite a bit – we had a minibus from Medellin to Guatape and then a normal sized bus heading back. It is a windy and bumpy drive though so if you suffer from getting car sick make sure you bring something to control nausea. Once you arrive in Guatape it is a good idea to book your bus ticket back as they can get sold out. However, do be careful as we ended up returning to Medellin in serious peak hour traffic and it took over 2 ½ hours. The bus pulls into a bus station which is on the lakefront. The office to buy your return ticket is also located here. If you would like to climb up Piedra Penon (which you definitely do!) 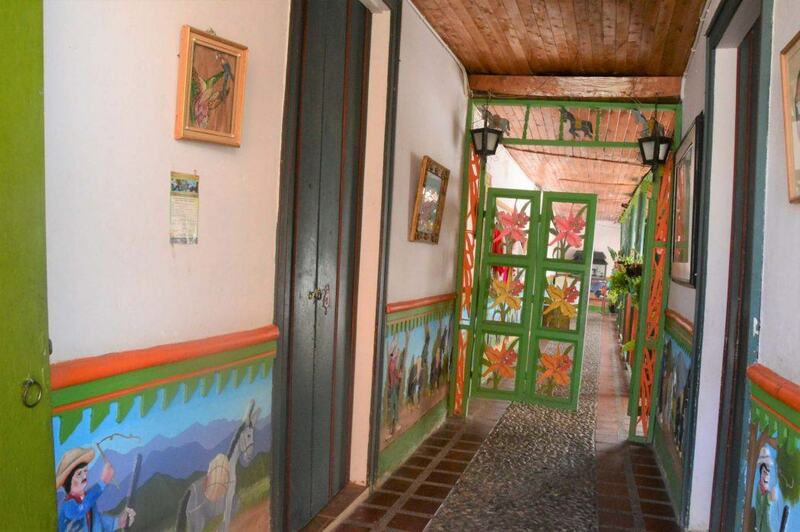 you will need to get off the stop before the town of Guatape and after the town of Penol. 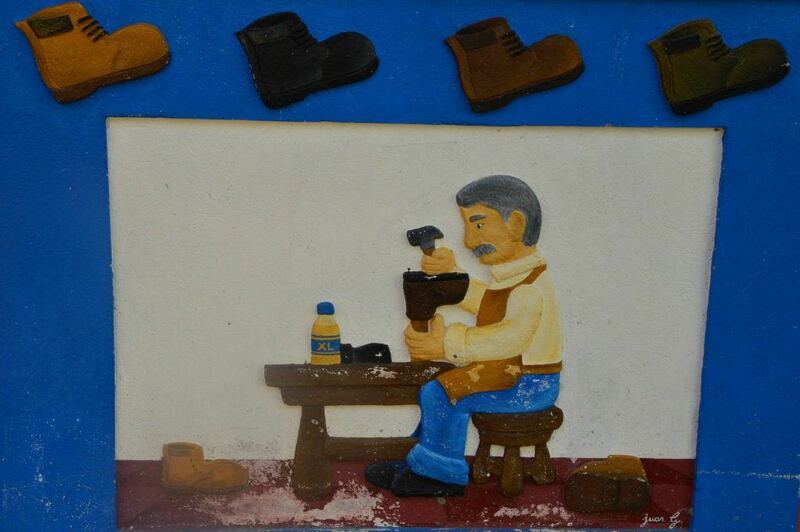 Ask the bus driver to stop at La Piedra which is 10 minutes after Penol. There will most likely be other slightly confused looking travelers doing the same thing! From here there will be loads of different types of transport to take you to the start of Piedra Penon or you can walk the 1km. Once you have descended you can then take a cab into Guatape – this takes about 5 minutes and is well worth it! 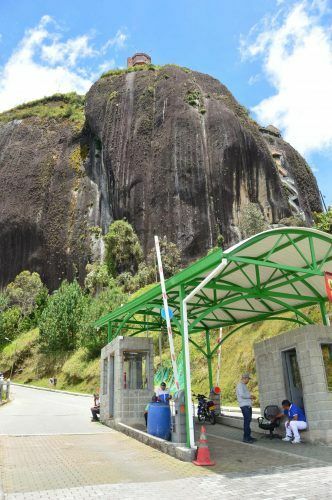 La Piedra Penon is a huge rock that provides a spectacular view of the lakes around Guatape. The little mini taxi will drop you near the main entrance. From here it is a short walk to the ticket office. You will immediately see the rather straight up and down steps to the top – all 659 of them! If you are reasonably fit you will be fine – it takes less than 10 minutes to get to the top. But it is rather steep so it is best to take some water and a few breaks along the way! Somewhat confusingly you will get to what feels like it should be the top (as there are stands selling beverages and souvenirs) but you will then realise you need to head up further stairs which have been cleverly designed to intersect with more shopping opportunities – obviously, a retail genius was behind this design! All the instructions you need! The area at the top is rather busy but the views are absolutely worth it! 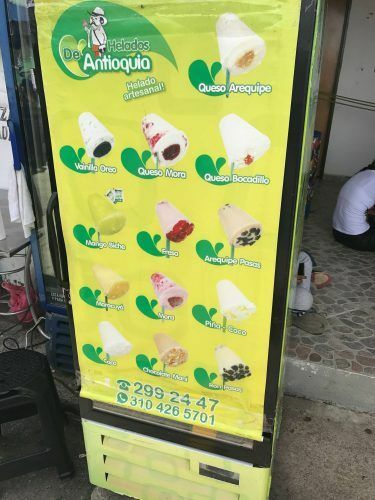 You can then head down a few flights and sit and enjoy some amazing Colombian fruit juice, ice lollies or a beer depending on your mood! It is then a fairly quick walk down and back out and past the main entrance. Here you can get a taxi to the actual town of Guatape. There is a town called Penol which I didn’t bother visiting as it didn’t seem to offer much but you may well feel otherwise. It is good to climb the rock before heading to Guatape as it is probably more straightforward to head back to Medellin from Guatape. 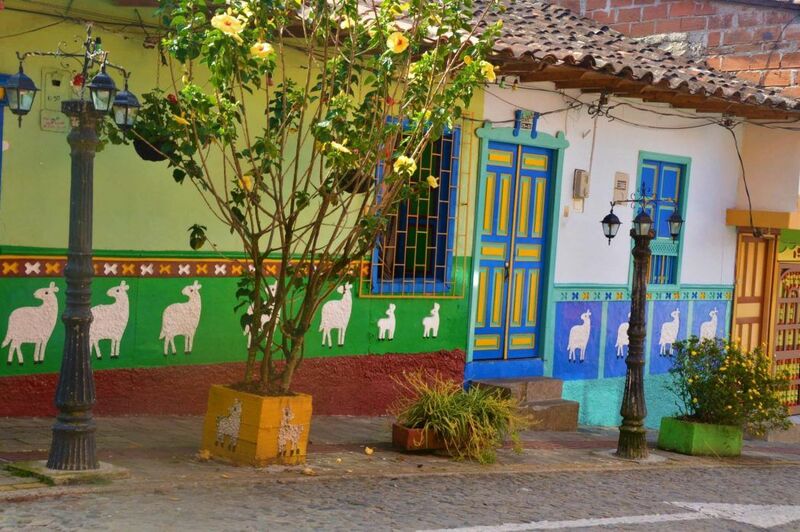 One of the most popular types of day tours and trips in Medellin are those focussed on Pablo Escobar. Read my post on Pablo Escobar Tours for the full run down on all of the different types of tours and costs. There are some limitations on where you can drive in the town so the taxi dropped us at the end of a cute brightly coloured street. 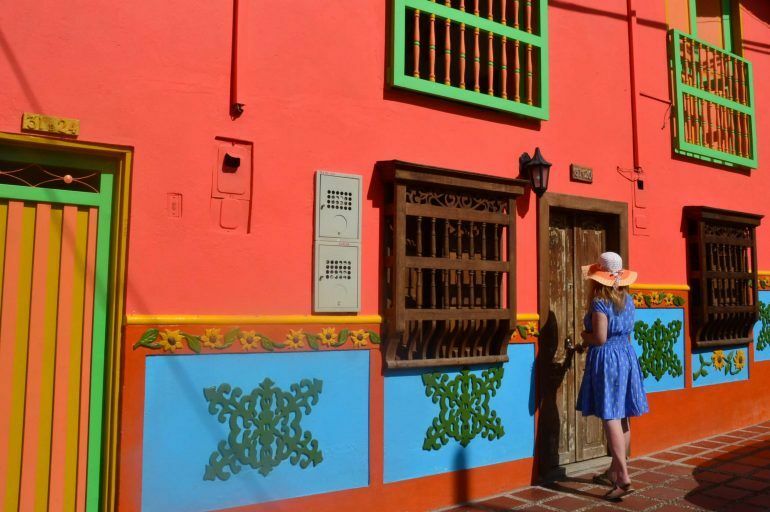 We were straight into the gorgeous coloured houses! They are stunning. Each is in contrasting colours and many feature imagery that is either aesthetically pleasing eg lamas or indicates what the people who live inside that house do for a living – my favourite was on the one with caskets for the funeral home! We strolled down this street and it then took us to the main square. There is an insanely cute church on the square that you must photograph. My key objective for my Guatape visit was to get as many great photos of super cute colourful houses as possible! 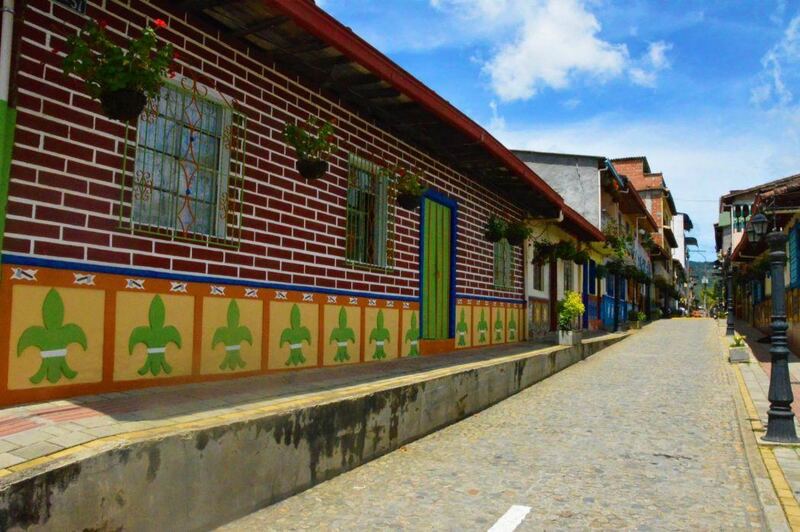 Guatape is pretty small and easy to wander on foot but it is helpful to have a sense of where the best concentration is of cute houses. There is one road into Guatape from Penol – as you head towards the lake Calle 37 is on your right (although not clearly signed). If you are in a cab this is most likely where they will drop you off. This is quite a cute street with some nice houses on it so get the camera out and this street takes you to the main square – which has the super cute church. The rest of the streets with the cute houses are on the other side of the square. There are probably about 10-12 streets that are extremely photogenic and most of them are linked. Start with the streets that are off the lake and then wander from there. Loving the angels for the funeral home! I suggest heading quite far west to where the road crosses the lake and then head back towards the main square with the church from there. If you like taking photos I would allow about one hour for this. It is difficult to see street numbers/names so follow your nose! It is tricky in terms of time of day and shadows on the houses. The streets can be quite windy so I really don’t think there is one optimal time. If you are super dedicated then perhaps arrive in the morning and take pics, have lunch and a lake trip and then do another round in the afternoon. I must confess I am not dedicated enough to do this!!! 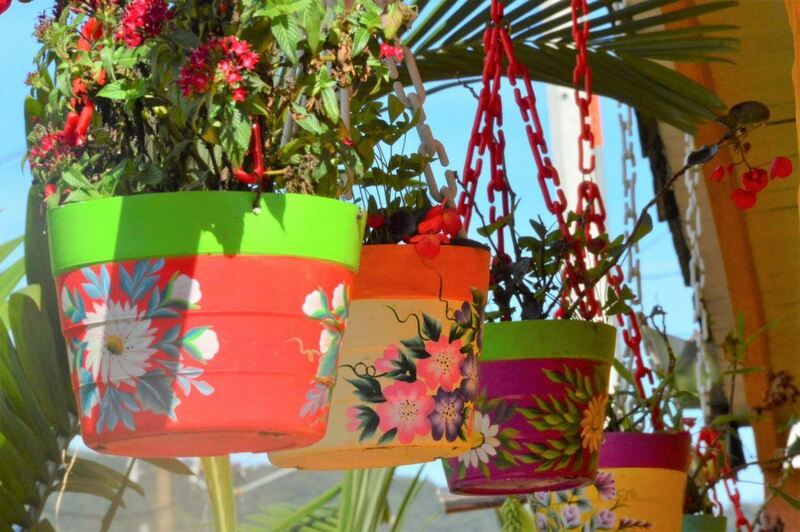 I would also suggest looking out for some of the really cute detail – we saw everything from pot plants to rubbish bins that had been brightly painted and were nice for photos. Another huge instagram opportunity in Medellin is Feria de Las Flores – read my guide to this annual festival here. The lake is actually artificial – it doesn’t look it but that’s what Lonely Planet says so it must be correct! You can do a boat trip on the lakefront. We didn’t do this as there wasn’t sufficient time but I wish we had. I think this would be a lovely thing to do on a nice day and a nice way to explore the area. The lakefront area is busy with stalls. 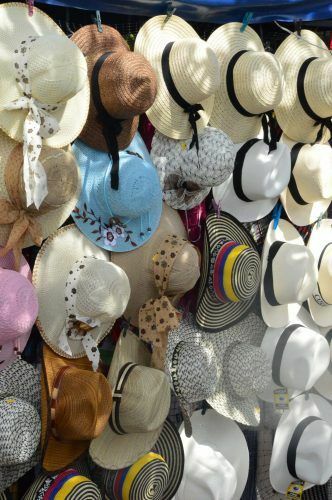 There were quite a few with super cute super cheap hats. I bought a couple which I now use in many of my photos and I love them! They also tend to fold up easily and pop back into shape even when they are quite large! There were stalls selling chocolates and drinks, jewellery and most other things you could imagine! 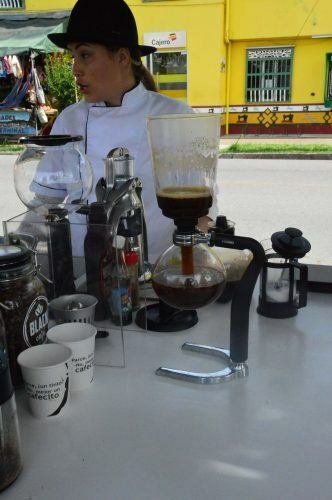 My favourite experience of this type in Guatape was the amazing coffee stall! So I am from Melbourne Australia and am a complete and utter coffee snob. Terribly horribly picky and a bit coffee obsessed. So I am painful when it comes to coffee. And this place absolutely delighted me so it is a high rating! 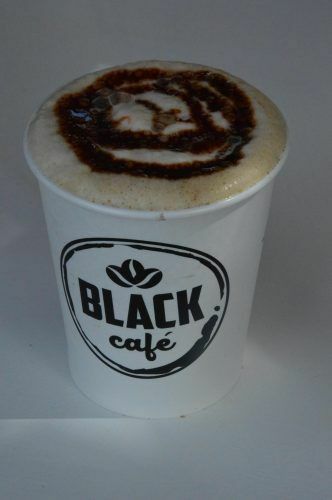 The Black Café is a coffee cart on the lakefront. They have this fantastic almost coffee laboratory set up that produces a brilliant flat white and they put a chocolate sauce on the top which is an excellent addition! For lunch, we headed to the Guatape town main square with the cute church as we were starving and couldn’t wait any longer! 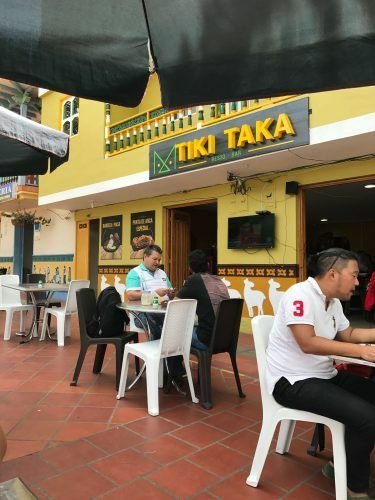 We had lunch at the funnily named Tiki Taka which has lots of outside tables and super friendly service. The menu is typical Colombian so lots of meat, patacones and we got some hot chips which were good! 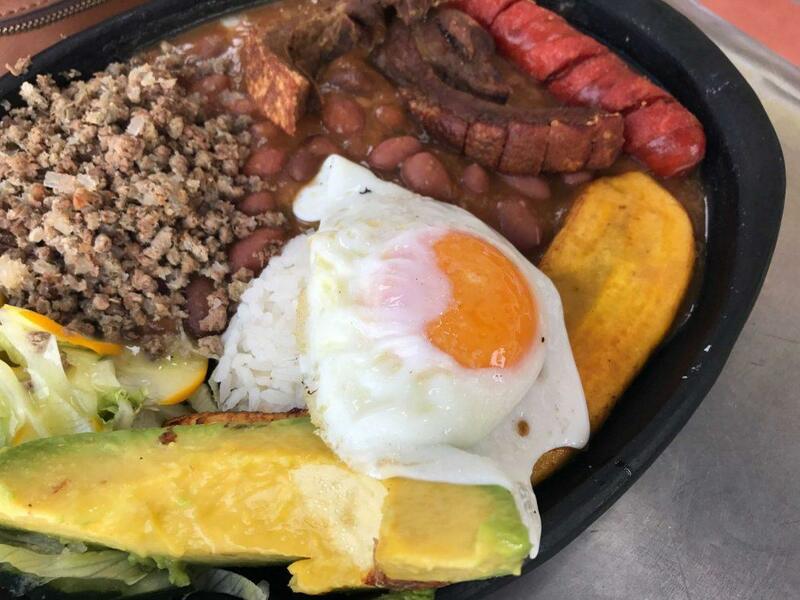 They also serve the classic paisa dish Bandeja which my friend had and it looked very tasty! Paisa Bandejo for the hungry! The Medellin to Guatape day trip is a must do whilst in Medellin. It is a lovely photogenic day out and well worth the effort.